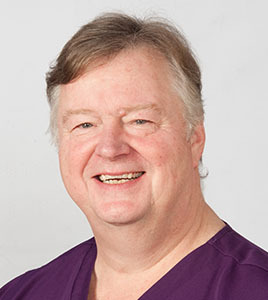 I qualified as a Dentist in 1979, and I left the London Hospital to go into General practice in 1980. I was fortunate enough to start work in a practice which was very keen on further training. I was encouraged to complete post-graduate training in this country and abroad, and spent some time in America where there were teachers of a standard which was not available in the U.K. at the time. I have maintained an interest in on-going training ever since. I have worked as a trainer for BUPA DentalCover, and been on the Council of the British Society for Restorative Dentistry. I remain an active member of the BSRD, and am also a member of the British Endodontic Society and the British Dental Association. My interests now centre around doing the basics well: examination, diagnosis, explaining in non-technical language, treatment planning and carrying out the agreed treatment. I started and ran my own practice in Chichester for 18 years, until 10 years ago. Since then I have worked sometimes as a locum and for the last 7 years in Billingshurst, West Sussex. Outside of Dentistry I have enjoyed messing about in boats since my childhood in Hong Kong. I enjoy music, and sing in a choir in Chichester which performs concerts for charities. I have two grown-up children, of whom I am sinfully proud.